I’ve been crowing about the advantages of a netbook for almost a year now, ever since I got my dinky Dell Inspiron 9. My netbook goes everywhere with me. It is my lifeline for work, play and online shopping! When I originally bought my netbook, the market was still pretty new and the choices were limited to say the least. With new players entering the market with upgraded styles, I felt it was high time I had a look at which 5 are the best. 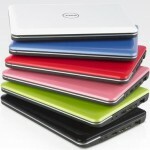 Being a Dell fan I have to tell you about the Dell Mini 10 (right), the next version after my Inspiron 9. Not only is it equipped with a decent sized screen and keyboard, but it also comes with a webcam on the top bar. The Dell Mini 10 has internal bluetooth and Wi-Fi, various right and left ports, and is available in a variety of candy colours. Prices start at around £199. 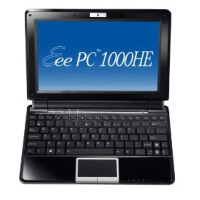 For those who want a netbook primarily for business, the HP Mini 5101 has a lot of the specifications required. Its metal alloy makes it incredibly durable, and its 160 GB drive will store a large amount of data. Its extensive networking options and keyboard that is 95% the size of a normal keyboard are also benefits for business on the move. The HP Mini 5101 starts at around £345. 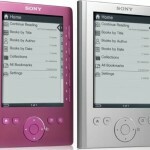 Fancy a netbook that you can actually fit in your pocket? How about this tiny netbook from the Vaio P Series? At just 8 inches long, and in at under 700g, it’s definitely an option for surfing on the go. Despite the size, it still has an adequate keyboard, and it comes in some gorgeous colours too. Vaio P is £649 from Woolworths. Vaio P from $899.99 in US. 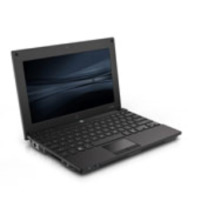 The Samsung NC10 is the netbook for people who like the battery to last longer than just a couple of hours. Starting at £329.99, the NC10 offers up to 9 hours battery life, as well as a normal sized keyboard, and lightweight frame at only 1.26kg. Recent reviews of the NC10 have also given a big thumbs up to the sizeable screen. Do you pay monthly for internet connection on yours? Or is it just a mini notebook? I’ve got a pay as you go Dongle with 3 for trains etc, and then I use the internal wifi if I pop into a coffee shop that offers it. Can i ask if you’ve tested the Samsung on battery life? I bought a really expensive Sony Vaio that promised 6 hours but never got more than 3 and a half – was so disappointed as it’s really noticeable when you’re out and about. I personally haven’t but I have I had a look around at all the current reviews and, depending on usage, it seems to last between 6-8 hours! This still seems to be the case for those who have been using their Samsung for several months. I’ve had one of the Sony Vaio P Series and it’s very disappointing – slow, awful mouse pad, disappointign abttery life – despite being lovely to look. I’ve actually gone back to my Sony vaio UX – even though the keyboard is poor – and my HTC Shift (IT dept loaded an early version of Windows 7 on it and it’s super-fast). The P Series needed to be all SSD rather than HD and TOUCH SCREEN! The UX is touch screen so why couldn’t they make the P the same? It would have avoided the mouse problems. the Asus models really take the prize in terms of performance, battery life and simple usability but they’re just a bit too chunky for me. I’m waitign for the Archo 9 to come out but I might also check out the UMID M1. I've got a pay as you go Dongle with 3 for trains etc, and then I use the internal wifi if I pop into a coffee shop that offers it.